Los Angeles California January 4, 2007 - Teen inventor Robin Sydney founded Zorbitz when she was nineteen years old. Now she is a millionaire with celebrity fans like Ashlee Simpson, Lindsay Lohan, Paris Hilton, Randy Spelling, Halle Berry and Freddie Prince Jr. Here is her story: She started with only $100, a $5 pile of rocks, tremendous hard work and a whole lot of luck. Now she grosses over $2.5 million annually in sales in The United States, Canada and Internationally. It is also the #1 selling gift item in the Whole Foods chain nationwide for two years in a row. Sydney thinks her success reflects the ultimate success story of the American dream saying "Our hope is that by telling our story, we could inspire everyone that with hard work, confidence and luck, anything is possible." At 19, she was living with her mother in Los Angeles pursuing an acting career. One day while in the creative process she came up with an idea to create "lucky rocks". Using only a $5 pile of rocks and her home computer, she and her mother Marian created SunRocks. The next day, she sold 144 rocks at $1 a piece and Zorbitz was born. Sydney says what came next "is truly a miracle." While walking on the beach, she discovered a rock in the perfect shape of a heart. This inspired her to seek the mentorship of a marketing guru - and she hooked up with the marketing genius behind Reebok and Visa, who mentored her and her mother on all aspects of marketing. She also convinced the owner of one of largest gift stores in Los Angeles to teach her everything about retail and wholesale. But it was in researching a new line of greeting cards that she stumbled upon Chinese Feng Shui jade luck charms. She knew she found that "golden" product. They sold out overnight in Whole Foods Market and several gift stores and in the first month of release, they sold almost 3000 charms, making them the #1 selling gift product in Whole Foods Market Southern Pacific Region. Product sales exploded by securing Wild Oats Markets, Whole Foods Markets nationwide, gift, book stores and natural foods stores everywhere, great rep groups and distributors. With the addition of a distributor in Canada, Zorbitz was now international. In 2005, they sold almost a quarter million charms, which were still being assembled and shipped by Robin and her mother from their one bedroom apartment. They worked 16 hours days, 7 days a week. And the products kept flying off the shelf. Stores told them that they had never seen anything like this before. Customers kept calling Robin and Marian thanking them for the difference our charms made in their lives. In February 2006 she created Karmalogy Bead Bracelets - her most successful product to date. Beautiful and meaningful, Karmalogy Bead Bracelets combine lucky karma beads with powerful gemstones to help bring the good luck and good karma and all the wonderful things everyone wants in their lives. 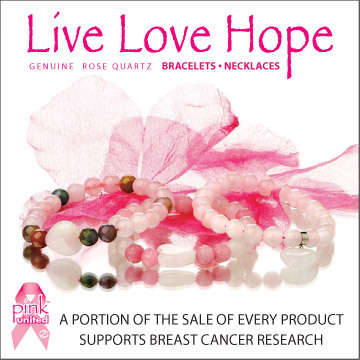 They are loved by both men and women including several celebrities such as Ashlee Simpson, who was photographed wearing our Karmalogy Bead Bracelet in rose quartz for Love in People Magazine (May 22, 2006). Robin Sydney has an extraordinary story and an amazing product - complete with a golden ticket to Hollywood. She would make a great story. For more information please contact Jenn Hoffman at Jenn@Orcacommunications.com or 602.628.5366.